A bathroom is one room no home can go without. But, besides it being an absolute necessity, a bathroom can also be a source of relaxation, beauty, and style! So, how can you design a bathroom that perfectly fits your home and your family’s needs? It’s easier than it sounds! Bathrooms can be very beautiful, stylish and cozy, but they should be functional and practical first! So, examine your habits and create a bathroom that will satisfy them perfectly. If you’re into long pampering sessions, invest in a spacious bath and plenty of storage for your beauty products. On the other hand, if you’re environmentally-conscious, you might want to check out energy-saving appliances and water-conserving fixtures. Once you take your habits into account, your final design will perfectly fit your lifestyle and serve you and your family for a long time! An old and tired bathroom can bring down the value of your property. Here are just a few signs that bathroom is in need of renovating. If the taps in your sink are starting to look mottled and cracks are forming in your ceramic bath, it may be time to renew these fixtures. Many fixtures can last for years, but small signs of wear and tear can make them look ugly. There are lots of modern fixture designs to choose from that could help to rejuvenate your bathroom. You may want to consider new luxury features such as walk-in showers and multi-flush toilets. Companies like Kardiel even offer traditional designs such as freestanding baths that could help to compliment an older property. 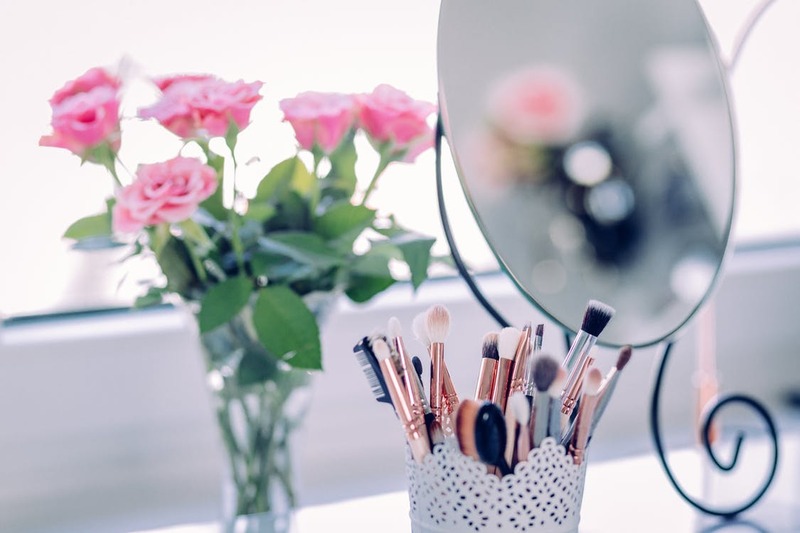 You can buy second-hand fixtures, although many of these are likely to be just as worn. 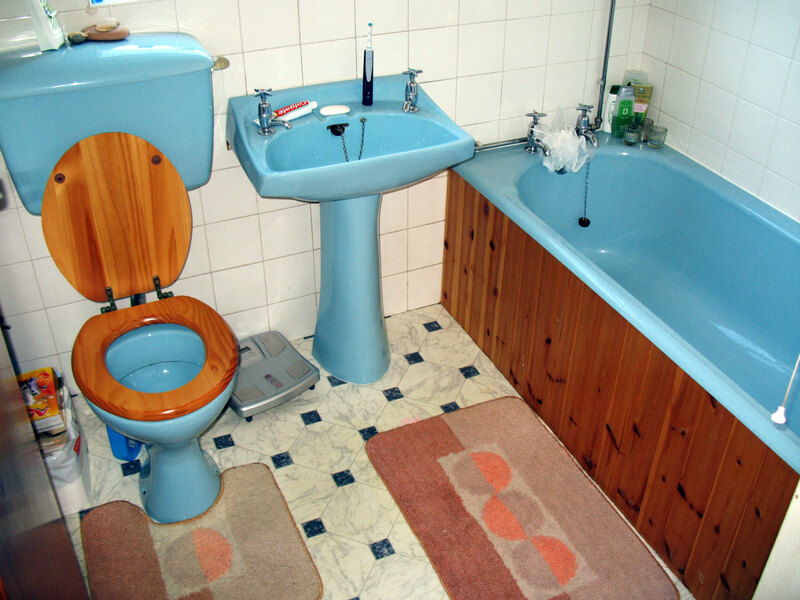 Back in the 70s and 60s, vibrant bathroom colour schemes such as green and red and blue were all the rage. Nowadays, this look has become dated and whites and greys are preferred by most homeowners. It is personal preference whether you want colourful bathroom décor but be aware that such colours could negatively impact the value of your home if you ever plan to sell up. Lighting is important in a bathroom. If your bathroom feels dark and dingy, it could be worth renovating the bathroom to make it feel brighter. You might be able to let in more natural light by extending a window or adding a skylight. Mirrors and reflective surfaces can meanwhile help to bring in more light from outside. Alternatively, you can try wiring in some new light bulbs. Strategically placed spotlighting can help you to light up dark recesses and corners of the room. Companies like Lamp and Light offer a great range of ceiling spotlights. 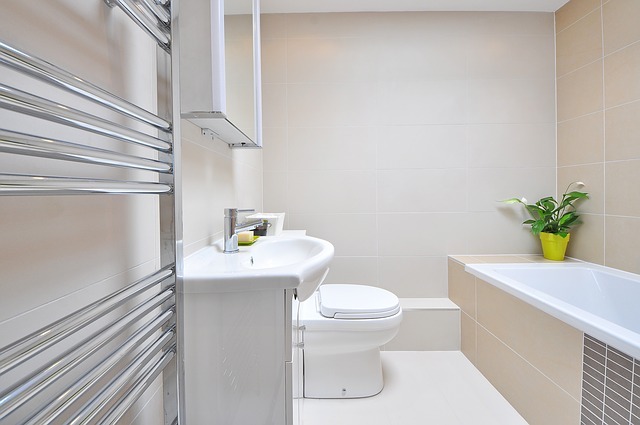 Some bathrooms may suffer from a poor layout that makes them feel cramped. It may feel as if a toilet or shower has been squeezed into the room, despite there not really being enough space. This could be a good reason to update your bathroom – you could consider extending or alternatively switch a few fixtures around so that they’re in a more sensible location. Some bathrooms can smell old. This can be another sign that updates are needed. Rubber seals in fixtures may have started to rot, causing a musty smell. Replacing these fixtures could be necessary to bring in a fresher fragrance to the room. Alternatively, there may be hidden mould beneath a bathtub or in the grouting between tiles or by windows. Mould may only require thorough cleaning in some cases, although in other cases you may want to replace tiles and fixtures. Adding in an extractor fan might also prevent future outbreak of mould.